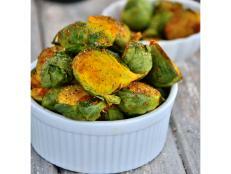 The crisp, tender sprouts of various germinated beans and seeds. Mung bean sprouts, used often in Chinese cooking, are the most popular. 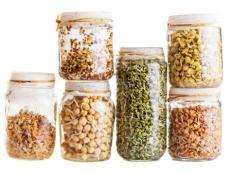 However, other seeds and beanssuch as alfalfa and radish seeds, lentils, soybeans and wheat berriesmay also be sprouted. 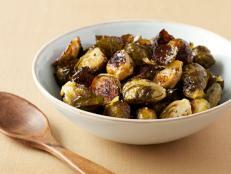 For optimum crispness, sprouts are best eaten raw. 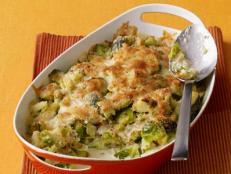 They may also be stir-fried or sautéed, but should only be cooked for 30 seconds or less; longer cooking will wilt the sprouts. 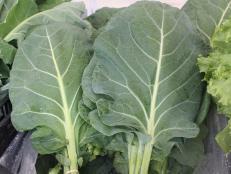 Though you may grow your own fresh sprouts (refer to a general cookbook), they're available year-round in most large supermarkets. 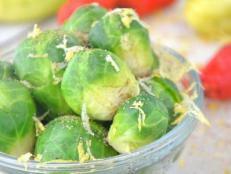 Choose crisp-looking sprouts with the buds attached; avoid musty-smelling, dark or slimy-looking sprouts. 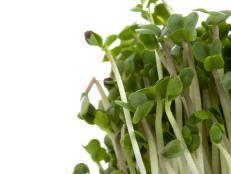 Mung-bean sprouts should be refrigerated in a plastic bag for no more than 3 days. 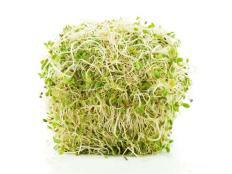 More delicate sproutslike alfalfa sproutsshould be refrigerated in the ventilated plastic container in which they're usually sold and kept for no more than 2 days. Canned mung-bean sproutsavailable in most supermarketsdo not have either the texture or flavor of fresh. 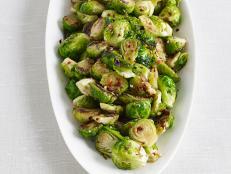 The FDA categorizes sprouts as a potentially hazardous food, which means they can carry illness-causing food bugs. Does this mean you should steer clear of them?